Our Challenges Make Weight Loss Simple! Fast Results - Lose 5-10 lb your 1st week! No Guesswork! - Everything is laid out for you. Plateau-Proof Plan - Lose weight and be thinner week after week. Everything Shipped Right to your Door! The SkinnyJane Challenges are very unique and much different than the average "how to lose weight" loss plan. They were designed by personal trainer Steve Pickering and his team, and they give you fast weight loss (up to 20 lb in 28 days, or up to 35 lb in just 8 weeks!) with no calorie counting or diet foods. Join the hundreds of women who have used our challenges and lost weight! 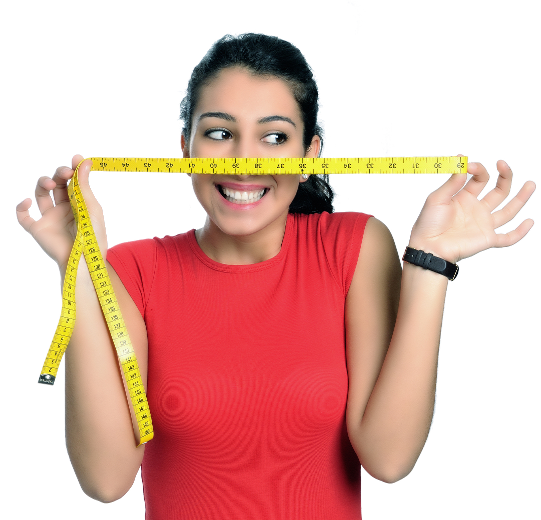 We give you the right tools and teach you how to eat right and lose weight permanently! Everyone likes a good Challenge, but most everyone hates to diet! The SkinnyJane Challenges not only lay out exactly what you need to do to lose your weight, they inspire and motivate you! All of us do better with a plan and a set time frame to accomplish a goal, which is one reason why the Skinny Jane Challenges work so well! The beauty of the SkinnyJane Challenges is you don't have to do a lot of thinking. Plus, all your food can be picked up at your local grocery store. You just have to make up your mind that you're ready to drop your excuses and ready to be happier, healthier and skinnier (lose that weight and say goodbye to it forever)! Everyone who has stuck to SkinnyJane has lost weight. These Challenges along with the weight loss supplements work, and they work very well! It All Starts With "The Skinny Map"
Your Skinny Map contains all the tools you need to lose weight and keep it off. Best of all, the Skinny Map is simple to follow. Your Skinny Map guides you step-by-step...all you have to do is follow the Map, and you will lose weight! In the first week alone, you could lose 5-10 lb! 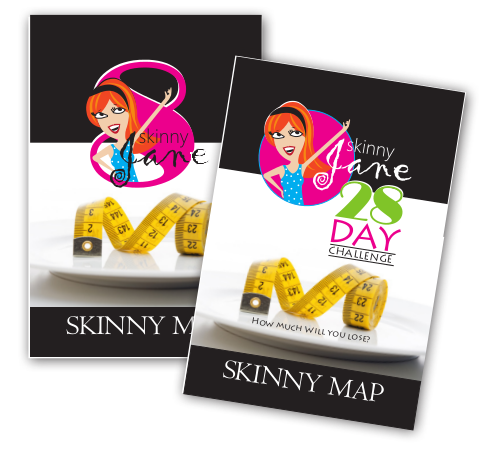 Each week, you'll follow a different SkinnyJane Menu Map. The Menu Maps are designed to really rev up your metabolism and make sure that you break through the usual plateaus that happen when women attempt to lose weight. Each day of the week, you'll know exactly what to eat (every day foods at your grocery store), and if you don't like one of the SkinnyMeals, you can simply replace it with another SkinnyMeal on your Menu Map...it couldn't be any easier! Starting with Week 1on your Meal Plan, Power Plan Cleanse, you will get rid of body fat, cleanse your system and energize your metabolism. We show you when and what foods to eat so you lose weight and feel great! Again, you will most likely lose 5-10 lb in this first week. From there, you will be guided week by week with a simple Menu Map to propel you forward and toward your goal...to lose weight and keep it off for good! Are you a person that has trouble staying motivated and needs accountability? Then our SkinnyTrackers are just what you need! These cards will help you stay on track and ensure that you keep moving forward each day, and they're super simple to use! You will receive 8 SkinnyTracker Cards, one for each week. Each week simply place that week's SkinnyTracker on your refrigerator. Then, your goal is to do just three simple tasks each day. Once you complete your three tasks, you reward yourself with a star (star stickers are included with the 8 Week Challenge). Our clients absolutely love these cards and love earning their stars each day! Have you often asked yourself, "What foods should I be eating to help me lose weight?" Most people truly have no idea when and what they should eat to lose weight. Skinny Jane will show you! All of the foods in our Challenges are weight loss approved! The Challenges will teach you what foods to eat and how to eat right (healthy, simple recipes are included) and use your mental focus and goal- directed abilities to become the healthier and slimmer you. SkinnyJane shows you how to get started and stay on track! After years of eating bad, most everyone needs a metabolism boost or a jumpstart, so to speak. You can throw out all those diet pills in your cabinet, because we have the weight loss supplements that are safe and will truly help you lose weight and feel energized..... SkinnyBlend, SkinnyBurn and SkinnyCleanse. 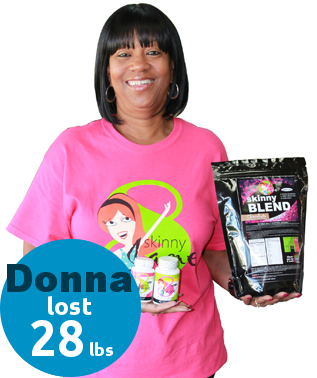 SkinnyBlend is the best-tasting weight loss shake on the market! It has a special blend of 7 proteins that will curb your appetite for up to 4 hours and energize you. One serving has just 100 calories, only 1 gram of sugar, 3 grams of fiber and 12 grams of protein. Skinny Blend will boost your protein intake so you keep your metabolism high while you are losing weight. You will love the Skinny Blend Shakes! SkinnyBurn is a great weight loss and fat burning supplement. It has 9 ingredients that work synergistically to help speed up your metabolism, boost your energy, and control your appetite. It contains Raspberry Ketones that have been proven to be very effective in burning body fat along with other ingredients that speed up your metabolism and curb your appetite. SkinnyCleanse is a great weight loss aid because it will cleanse your body by removing toxins and impurities from your system. In turn, your body will be a much better fat burning machine. This is a gentle cleanse that is very safe and does not cause any stomach discomfort. To see a list of ingredients on our weight loss products, please visit our products page. Your SkinnyMap tells you exactly how to take your SkinnyJane supplements. Once you receive your SkinnyJane Weight Loss in a Box, it only takes about 20 minutes to set your plan in motion. Simply open the box and let the SkinnyMap guide you. After you have taken your Skinny Steps to get started, all you will have to do is go to the grocery and prepare for Week 1, Power Plan Cleanse. The SkinnyMap along with the SkinnyJane supplements will give you the motivation and accountability you need to succeed! And along the way, if you have a question or need encouragement, all you have to do is email the SkinnyTeam and we will help you. You can do it! Your time is now; it's simple and it works. Order your SkinnyJane "Weight Loss Challenge" today! NOW! 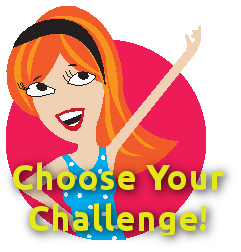 Let's Choose YOUR Challenge! !